Although it's nothing new, cities, towns and/or States have for sometime now, paid the fare to remove "The Houseless" from their communities. Some areas use more drastic and harmful methods such as trickery, deception and/or starvation. Yes, this is true and happens more times than not in the United States of America. This from a country of people who profess to be "christians" and give false and/or misleading impressions of caring, empathy and compassion. 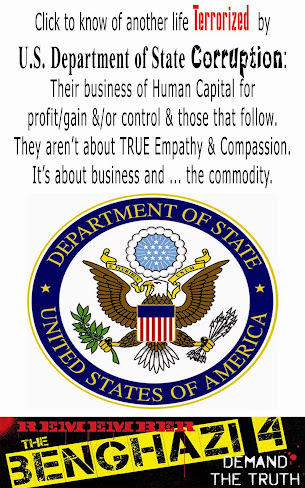 Not all mind you are as such in the United States of America, but more and more these days it has become the business of "Help" instead of actually being helpful unto our fellow neighbors. 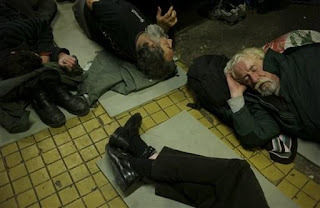 In Jefferson County Tennessee, authorities and churches have been known to use all sorts of deceitful and/or harmful ways to rid their exclusive county of "The Houseless". One company, Tarr Chevrolet, and/or some its employees even with knowing about "The Houseless", stood by without doing in accordance with Scripture, and not only took advantage of "The Houseless", but also profited by his removal. Be aware that not all seek to be "The Houseless". Try some genuine neighborly empathy, compassion and/or care, then maybe, just maybe the number of those being "The Houseless" will decrease. If Hawaii’s new program sounds unusual, it is actually not the first of its kind. A similar program was profiled by the New York Times in 2009 which also paid for one-way trips for the homeless out of the city, with such exotic faraway destinations as Paris, Johannesburg and San Juan, Puerto Rico. In the past, the city government had also worked with the Salvation Army through a similar program called "Homeward Bound". Hawaii is trying a new approach to cut down on the number of homeless in the Aloha State: Ship some of them back to the mainland. Under a "return to home" three-year pilot program set to launch this fiscal year, the state will buy one-way tickets on planes — and possible even beds on cruise ships — to return eligible homeless people to their families in the continental U.S. Lawmakers have appropriated an initial $100,000 to fund the program, which will be run by the state Department of Human Services. The department has expressed concerns about the program's cost and the nature of services to be provided, among other issues. "The administrative requirements ... are costly and administratively burdensome," department spokeswoman Kayla Rosenfeld said Tuesday in a statement to MSN News. "Provisions include: transportation to the airport, orientation regarding airport security and ensuring proper hygiene. Additionally, if state funds were utilized for the purpose of sending people home, the participants would be required to sign voluntary departure agreements that would need to be recorded in databases. Given these requirements and others, and a minimal appropriation of $100,000 for a three-year pilot project, providers are understandably reluctant to take on a state-funded return to home program." "The DHS will continue to dialogue with the community around these issues. 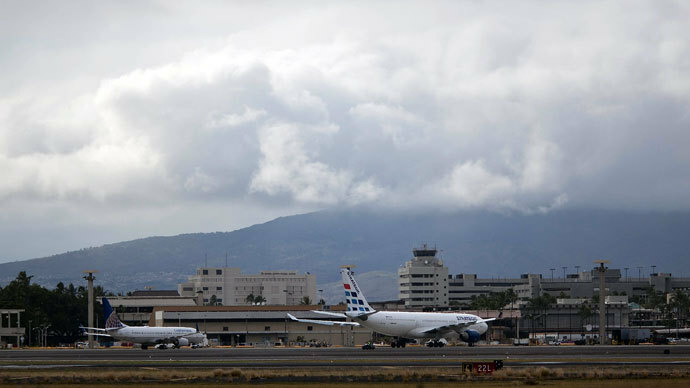 At the end of the day, however, we remain concerned this program is an invitation to purchase a one-way ticket to Hawaii with a guaranteed return flight home," Rosenfeld said. The program's supporters said the pilot is not a silver bullet in the fight against homelessness, but will help cut down on the millions the state spends each year on welfare and support services. "It's fractional, it's not for 5,000 homeless people. It's going to be a handful of homeless people that we send home … to their support unit," state Rep. John Mizuno was quoted as saying by Hawaii News Now. Rep. Rida Cabanilla said even if the homeless return after a few months, the state will have saved thousands of dollars on food, shelter and medical costs, Honolulu Civil Beat reported. 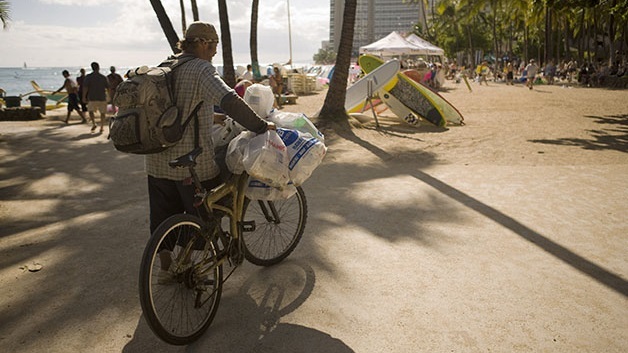 Hawaii has an estimated 17,000 homeless people. The "return to home" program is voluntary. To be eligible, individuals must have a support system in place in their home state and be indigent and unable to fly back on their own. They can only participate once in the program. Paying to send homeless people away isn't a novel tactic. New York City; San Francisco; Baton Rouge, La. ; and Fort Lauderdale, Fla., are among the cities that have offered one-way transport tickets to homeless people. "These kinds of programs have been used historically to ship homeless people out of town," Michael Stoops, director of community organizing for the National Coalition for the Homeless, told MSN News. "In the homelessness field it was once called greyhound therapy. Hawaii now goes a step higher with airplane therapy. Oftentimes local police departments run such programs offering the stark choices of going to a shelter, jail or hopping on a bus or plane home." "If such programs are truly voluntary and that a home at the other end has been confirmed (not a shelter), this is acceptable," he said. "Some homeless people yearn to be reunited with their loved ones or wish to return to their home community." Hungary's lawmakers are considering constitutional changes to allow authorities to force homeless citizens off the streets. Critics of the proposal say it criminalizes thousands who live in poverty. BUDAPEST, Hungary — Homeless men and women huddle on street corners amid Budapest's majestic domed palaces, shivering under old blankets and cardboard boxes in frigid winter weather. It's an image that critics say Prime Minister Viktor Orban doesn't want the world to see. And if he has his way, the homeless could be fined and even jailed for sleeping outside — even though some of the country's homeless shelters are already overflowing and short of beds. Orban's punitive ideas for the homeless have set him up for his latest clash with the constitutional court and civil rights groups as he tries to reshape the country in a conservative image by centralizing power. Since winning power in 2010, Orban and his party have undermined independent institutions and democratic standards in a nation that was once an icon of democratic struggle for throwing off communism in 1989. Now Orban is carrying out an informal referendum at town hall meetings around the country to gauge support for a constitutional amendment that would enshrine punishments for the homeless in the charter itself. Hungary's homeless policy has revived accusations by human rights groups that Orban's ruling Fidesz party cares little about the country's disadvantaged. In just one recent controversy, one of the party's founding members, journalist Zsolt Bayer wrote in a newspaper column that many of the country's Gypsies, or Roma — an impoverished minority that faces entrenched discrimination — "are animals" and "unfit for coexistence." Fidesz refused to distance itself from the column, saying it understood citizens' anger about crimes committed by Roma and called on those demanding Bayer's expulsion from the party "to refrain from standing on the side of the criminals." The homeless issue has been brewing for several years. At the end of 2011, Orban's ruling right-wing Fidesz party used its overwhelming parliamentary majority to make the punitive regulations first introduced earlier that year by the Fidesz-backed mayor of Budapest — including fines of up to $650 for repeat offenders and the threat of up to 60 days in jail — applicable nationwide. "This is a method to demoralize or intimidate us," said Gyula Balog, 53, who has been homeless for nearly 20 years. "No one was jailed, but quite a few had to pay fines. It's frivolous to fine those who have nothing." At the time, even the United Nations expressed concerns, saying the obligation to provide shelter "cannot serve as an excuse for the criminalization or forced detention of homeless persons." "By a wave of the legislative pen, the Hungarian Parliament has labeled tens of thousands of homeless people in Hungary as potential criminals," said a statement from two U.N. human rights experts. "Moreover, the law has a discriminatory impact on those living in poverty." At least 1,500 homeless are believed to be currently living rough in Budapest, even as temperatures are expected to remain below freezing in coming days and dozens of homeless are found frozen to death each year on the streets. In the winter, many head to the warmest spots they can find, usually the entrance halls of subway stations, sometimes quietly holding out a paper cup for money from passersby or by selling street newspapers. Authorities recently inaugurated two more shelters in the capital, and the government spent $38.4 million on the homeless in 2012, with a similar figure planned this year. But some of the most popular refuges, like the "Heated Street" run by the Hungarian Evangelical Brotherhood, are full far beyond capacity, with many people sleeping on mats on the floor. The issue of the fines re-emerged in November when the constitutional court struck down the punishments, saying homelessness was a social issue that should not be handled as a criminal matter. There are no exact figures on the number of homeless in Hungary, but the U.N. last year put the figure at between 30,000 and 35,000. A survey carried out each year on Feb. 3 in Budapest and the larger Hungarian cities by NGOs, counted 8,641 in 2012, up from 7,199 in 2011. Many cities across the United States also ban activities such as "urban camping," panhandling, "lodging" outdoors and similar actions, often resulting in fines or jail time for offenders. The Hungarian government argues that it is simply acting out of concern for the dozens of homeless people who freeze to death every year, implying that fines are meant to push the displaced to seek refuge in warm shelters. "There are more places in heated shelters than there are homeless living in Hungary," Orban said last month in Parliament. "So no one ... is forced to survive winter under the open sky." But social workers and the homeless themselves accuse the government of caring only about the country's image. "They simply want to clean up the areas frequented by tourists," said Balog, speaking outside the department store where he sold Commodore 64 computers during communism, before losing his job and family because of his alcoholism.